Here we are going to go over how shipping works with RV Parts Country, that way you are informed and can get your order to your door without any surprises! 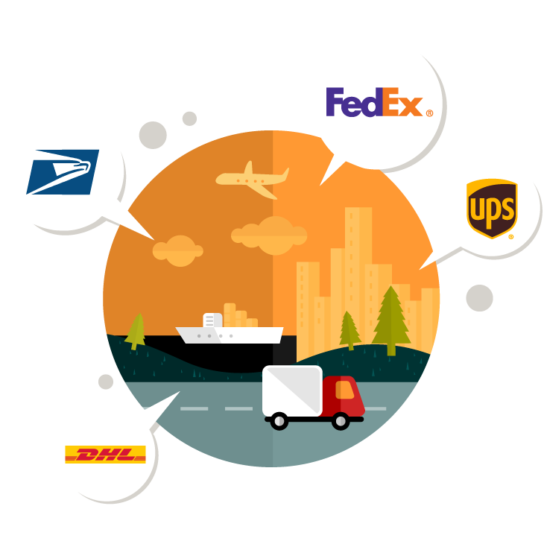 We strive to get your order processed, packed, and delivered as quickly as possible but it always helps to understand our shipping protocol. As always, if you have any questions please contact us and we'd love to help! Most orders are shipped within 1 to 2 business days. If it is a stocking item and you place the order before 12:00PM EST it will ship the same day! It is very important to understand that this only applies to stocked parts. Please be available via email during the order process in case we require further information from you for your order. RV Parts Country strives to ship orders as fast as possible, however we are not responsible for any delays in any form. There is no precise handling and transit time designated for special order parts. We order these parts directly from the manufacturer and are not responsible for any delays in any form. We update you with all details as soon as we receive them from the manufacturer so please be available by email! You must contact our sales team to request an overnight or express shipment. Express and overnight orders must be placed before 12 P.M. EST, any express or overnight orders placed after 12 P.M. EST will be processed the next business day. If you are unsure of when your express order will ship or be delivered, please feel free to contact us and we will be glad to help! Our prices and discounted delivery offers apply to the contiguous 48 states only. We can offer international shipping options for an additional fee and you must choose our " Outside of the US” link located in your cart below the shipping quote area. You can follow the checkout steps from there! While many destinations are considered US Territories, shippers consider them to be international, and higher rates still apply. If a product is considered oversized, it may have to be crated for shipment and/or ship LTL Freight. Oversized items may have additional handling time and specific requirements such as only delivering to a commercial address. Due to the time involved in preparing the shipment, it cannot be shipped via any form of express. Please be aware that transit times typically are longer for freight shipments, RV Parts Country does not guarantee any transit times for freight items. In the rare occurrence that a product is out of stock, we will notify you via email to advise you of the expected delay as well as provide you with your options. You can choose to wait for the item, select an alternative, or cancel your order. Out of stock items will be shipped as soon as they become available. Order delivery times may be delayed due to circumstances such as credit authorization, backorders, or insufficient/inaccurate information provided during the order process. You will be contacted via email should such a condition arise. Some items may require that the shipping address match the billing address on the credit card that you are using to place the order. This helps protect you from fraud because the address you enter is verified. RV Parts Country reserves the right to hold any order for a security review. If your order is effected, you will be notified within two business days.